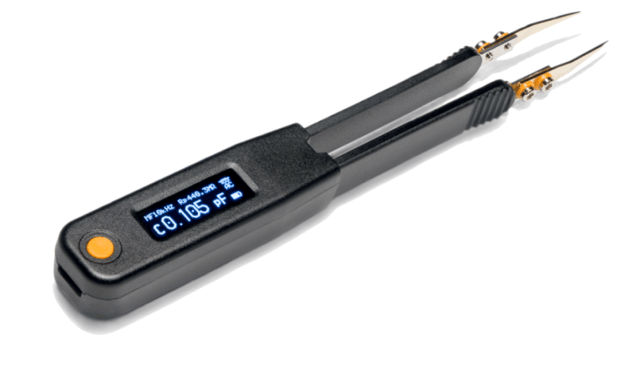 The LCR Elite2 is our latest tweezer-style LCR meter from the Elite series. It has been redesigned and re-engineered to surpass the LCR Elite1, and to improve your experience on LCR measurements. The LCR Elite2 comes with our patent pending Aegis Technology, which automatically protects your meter from being damaged by energized components. The chipset and algorithm are more powerful and deliver more accurate results. The LCR Elite2 is protected by the Aegis Technology, our patent pending solution to automatically protect the meter from being damaged by energized components. The traditional LCR meters have a common vulnerability to high voltage and current from the component they are measuring. In many cases, the component under testing can have stored energy, for example a charged capacitor or a powered on board. The energy in the component is a common problem that causes damage to LCR meters, thus requiring expensive and time-consuming repairs. The Aegis Technology solves this problem. It provides over voltage protection up to +/-48Vdc (or +/-34Vac). In normal operation, it is transparent and doesn’t affect the measurement results thanks to the low parasitic design. 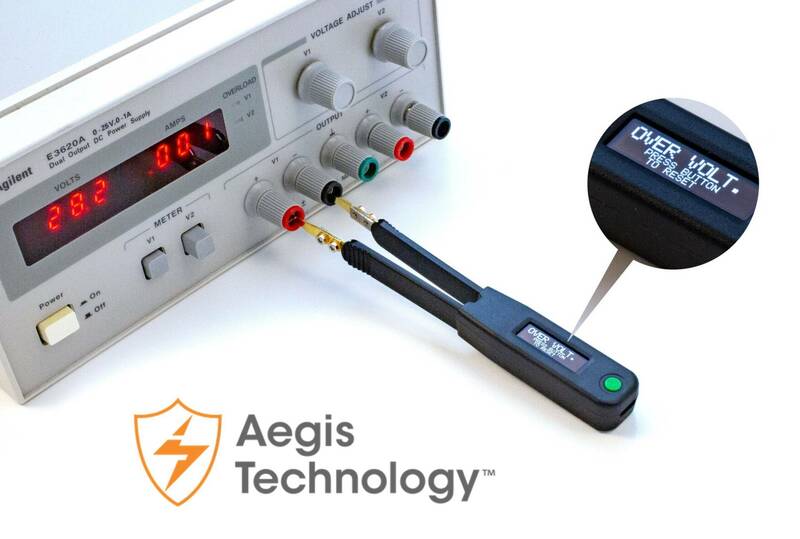 When an abnormal voltage is applied on the meter’s test tips, no matter positive or negative, the Aegis Technology detects it right away and automatically disconnects it from the meter. The “OVER VOLT” message is shown on the display to remind the user to de-energize the component under testing. To return the LCR Elite2 to normal operation mode, simply remove the meter from the component and press the button. No components are damaged and no fuse replacement is required. Built with more advanced chipset and algorithm, LCR Elite2 greatly improves measurement accuracy. It delivers a basic accuracy of 0.2% for both resistance and capacitance and 0.4% for inductance. Each meter is fully calibrated during production and shipped with a NIST (National Institute of Standards and Technology) traceable calibration certificate. The LCR Elite2 provides self calibration function that can be done in less than 30 seconds by simply shorting and opening two test tips. 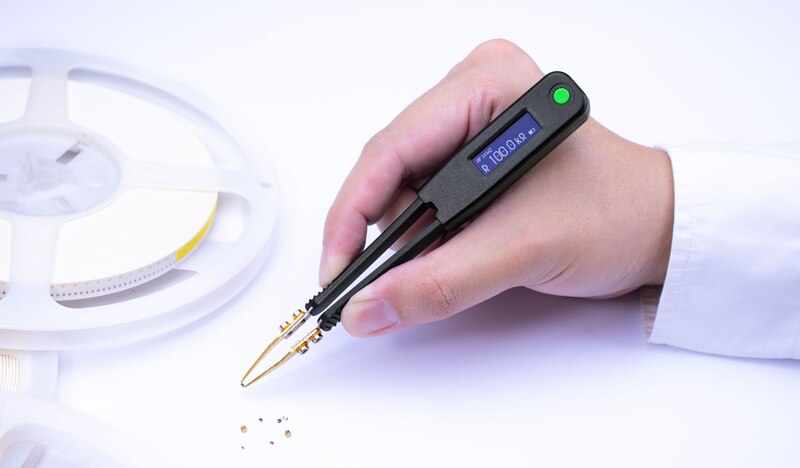 The self calibration significantly reduces the device’s internal and external parasitic parameters for better accuracy, especially for measuring smaller resistance, capacitance or inductance where the parasitic parameters may greatly influence the test results.